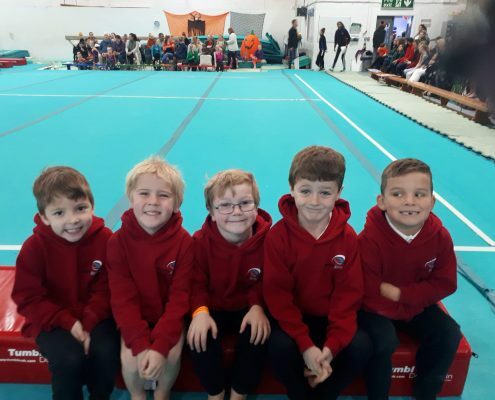 Triumphant Trampolinists & Tumblers Go for Gold! 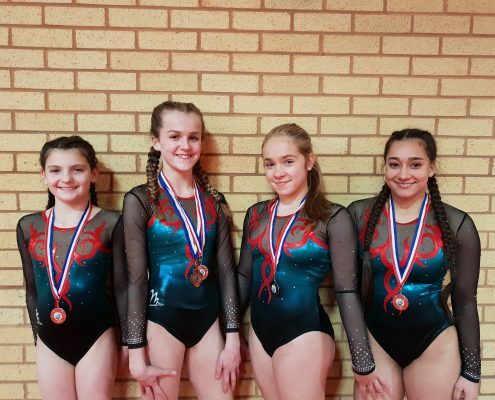 https://cheshiregymnastics.com/wp-content/uploads/2019/02/20190209_173309.jpg 3024 4032 MarkLaura https://cheshiregymnastics.com/wp-content/uploads/2017/02/700-logo.png MarkLaura2019-02-10 20:04:512019-02-10 20:30:10Triumphant Trampolinists & Tumblers Go for Gold! Over 50 medals in a Month - Cheshire Champions! 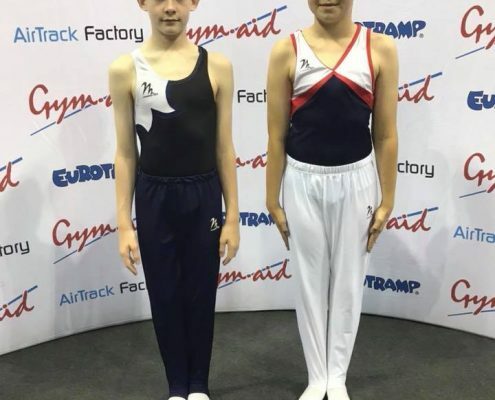 https://cheshiregymnastics.com/wp-content/uploads/2018/11/46680926_10161202089300191_5511807135266111488_o.jpg 1316 640 MarkLaura https://cheshiregymnastics.com/wp-content/uploads/2017/02/700-logo.png MarkLaura2018-11-26 21:38:202018-11-27 00:02:43Over 50 medals in a Month - Cheshire Champions! We are OPEN for Gym Sessions at Moss Farm Performance Centre! 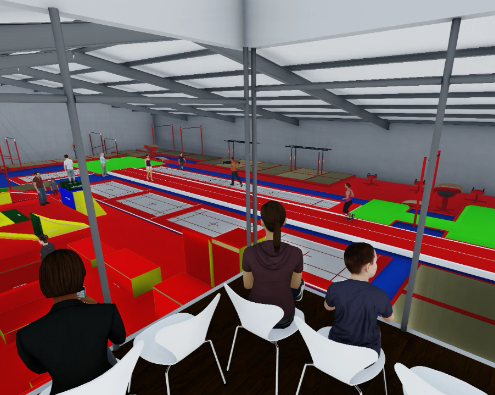 https://cheshiregymnastics.com/wp-content/uploads/2018/03/Moss-Farm-3D-Layout-Alan.png 1800 3000 MarkLaura https://cheshiregymnastics.com/wp-content/uploads/2017/02/700-logo.png MarkLaura2018-03-30 12:42:512018-04-11 17:31:45We are OPEN for Gym Sessions at Moss Farm Performance Centre! Moss Farm Performance Centre - Nearly there now! 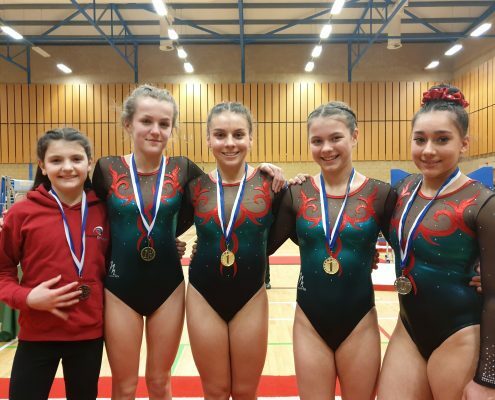 https://cheshiregymnastics.com/wp-content/uploads/2018/02/20180202_171923-e1518024381730.jpg 4032 3024 MarkLaura https://cheshiregymnastics.com/wp-content/uploads/2017/02/700-logo.png MarkLaura2018-02-07 17:29:352018-02-14 21:03:56Moss Farm Performance Centre - Nearly there now! 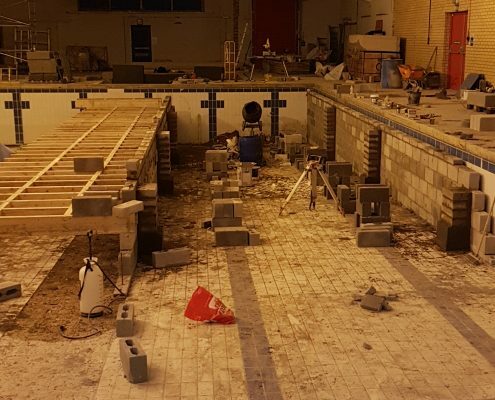 Thanks to all the team of Students and Josh from Petty Pool College who helped clear the main swimming pool of equipment. 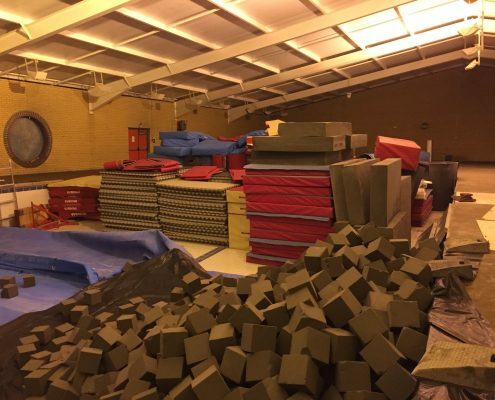 We can now start the construction of the castellated floor to receive the tumble & fast tracks for our gymnasts!! 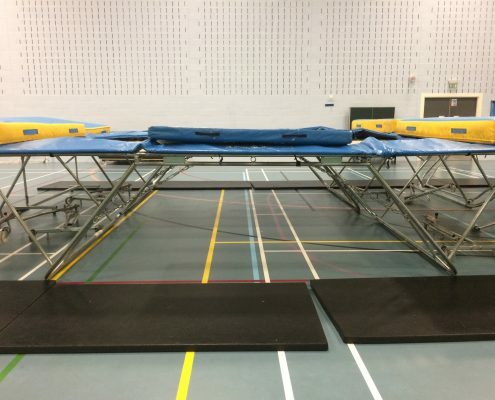 We've set up brand new classes for Trampolining only at the Wingate Centre. The classes start from 5.30pm until 7.30pm, places going quickly so logon to the enrol page and book your space, multi class discounts apply! Thank Goodness we have found an understanding expert in this field to help us with this project. 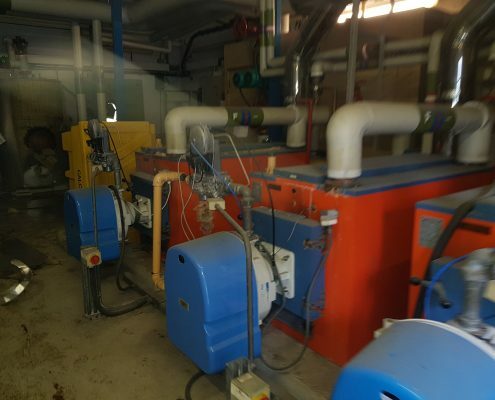 Stephen Dale from Wensley Consulting is designing a brand New Heating and Ventilation system for Moss Farm. Our Autumn Newsletter is now available on the downloads page. 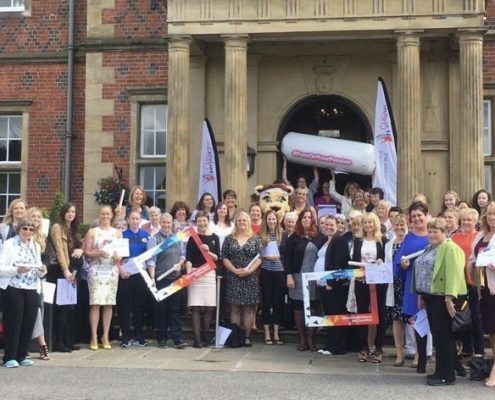 Laura Hudson was nominated and selected by Active Cheshire as one of the inspirational women in Cheshire and attended a lunch event at Cranage Hotel to celebrate their achievements, well done! The video shows the completed design concept for the refurbishment project. The clubs gym sessions are closed on Friday 25th March until Thursday 31st March inclusive, so last session Thursday 24th March & first session back Friday 1st April across all sites. https://cheshiregymnastics.com/wp-content/uploads/2017/02/700-logo.png 0 0 MarkLaura https://cheshiregymnastics.com/wp-content/uploads/2017/02/700-logo.png MarkLaura2016-02-09 22:54:052016-02-09 22:54:05Easter Holidays! 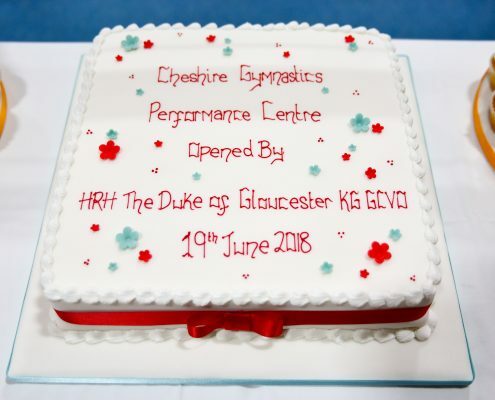 British Gymnastics recognises Club as "best practice"
https://cheshiregymnastics.com/wp-content/uploads/2017/02/700-logo.png 0 0 MarkLaura https://cheshiregymnastics.com/wp-content/uploads/2017/02/700-logo.png MarkLaura2015-11-09 22:17:232015-11-09 22:17:23British Gymnastics recognises Club as "best practice"
Moss Farm Site Surveys Started! 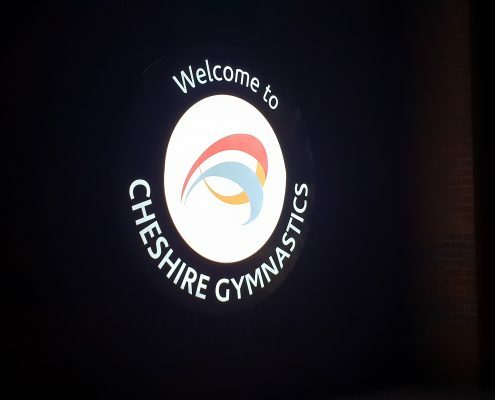 https://cheshiregymnastics.com/wp-content/uploads/2017/02/700-logo.png 0 0 MarkLaura https://cheshiregymnastics.com/wp-content/uploads/2017/02/700-logo.png MarkLaura2015-10-12 13:14:572015-10-12 13:14:57Moss Farm Site Surveys Started! Well Done and Good Luck Coaches! 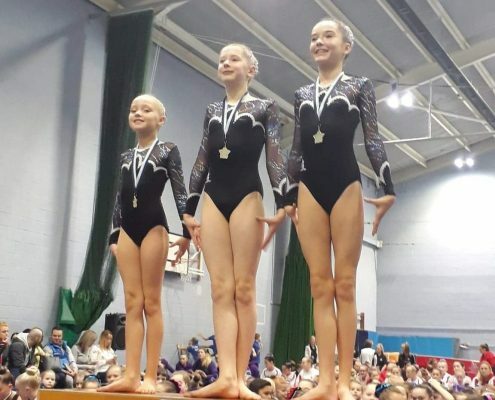 https://cheshiregymnastics.com/wp-content/uploads/2017/02/700-logo.png 0 0 MarkLaura https://cheshiregymnastics.com/wp-content/uploads/2017/02/700-logo.png MarkLaura2015-10-11 19:03:402015-10-11 19:03:40Well Done and Good Luck Coaches! Even More New Qualifications for our Coaches! 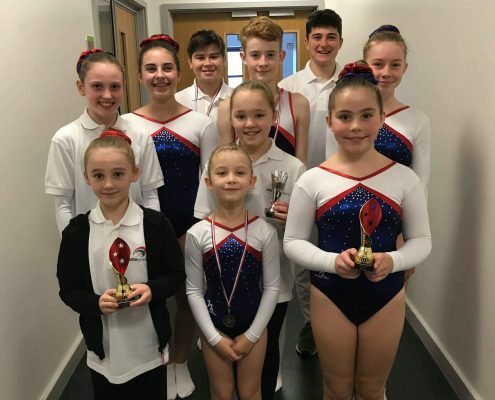 https://cheshiregymnastics.com/wp-content/uploads/2017/02/700-logo.png 0 0 MarkLaura https://cheshiregymnastics.com/wp-content/uploads/2017/02/700-logo.png MarkLaura2015-09-13 20:43:432015-09-13 20:43:43Even More New Qualifications for our Coaches! 40 Hours of Gymnastics just wasn't nearly enough! https://cheshiregymnastics.com/wp-content/uploads/2017/02/700-logo.png 0 0 MarkLaura https://cheshiregymnastics.com/wp-content/uploads/2017/02/700-logo.png MarkLaura2015-08-20 22:44:492015-08-20 22:44:4940 Hours of Gymnastics just wasn't nearly enough! 200+ spaces created for new gym classes! MarkLaura https://cheshiregymnastics.com/wp-content/uploads/2017/02/700-logo.png MarkLaura2015-07-28 19:01:552015-07-28 19:01:55200+ spaces created for new gym classes! Congratulations to Newly Qualified Coaches! https://cheshiregymnastics.com/wp-content/uploads/2017/02/700-logo.png 0 0 MarkLaura https://cheshiregymnastics.com/wp-content/uploads/2017/02/700-logo.png MarkLaura2015-07-25 16:01:322015-07-25 16:01:32Congratulations to Newly Qualified Coaches! We are the Cheshire Champions! MarkLaura https://cheshiregymnastics.com/wp-content/uploads/2017/02/700-logo.png MarkLaura2015-07-17 22:57:502015-07-17 22:57:50We are the Cheshire Champions! Over 100 Gymnasts in the Final! MarkLaura https://cheshiregymnastics.com/wp-content/uploads/2017/02/700-logo.png MarkLaura2015-07-05 21:59:452015-07-05 21:59:45Over 100 Gymnasts in the Final! Lets help the Wingate Centre! https://cheshiregymnastics.com/wp-content/uploads/2017/02/700-logo.png 0 0 MarkLaura https://cheshiregymnastics.com/wp-content/uploads/2017/02/700-logo.png MarkLaura2015-06-05 19:02:182015-06-05 19:02:18Lets help the Wingate Centre! The club has just run an internal First Aid refresher course led by St Johns Ambulance and sixteen of our coaches now have current up to date knowledge of what to do in an emergency! Well done everyone! https://cheshiregymnastics.com/wp-content/uploads/2017/02/700-logo.png 0 0 MarkLaura https://cheshiregymnastics.com/wp-content/uploads/2017/02/700-logo.png MarkLaura2015-06-05 18:47:132015-06-05 18:47:13Better Safe than Sorry! Millie Hancock reaches Level 1 award status! A bit late to put up on the website but Millie passed her level 1 sometime ago and has done a fantastic job at the gym for a long time, well done Millie! https://cheshiregymnastics.com/wp-content/uploads/2017/02/700-logo.png 0 0 MarkLaura https://cheshiregymnastics.com/wp-content/uploads/2017/02/700-logo.png MarkLaura2015-05-01 21:41:222015-05-01 21:41:22Millie Hancock reaches Level 1 award status! Pre -schoolers reach award standards! Our youngest gymnasts have just reached the first award badge in the action, balance and coordination scheme. 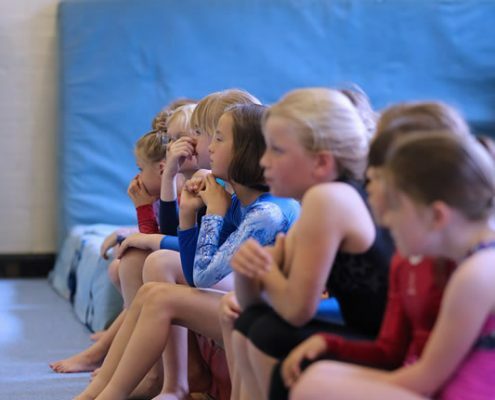 Well done to all our mini gymnasts and great coaches who are all enjoying the experience, onwards and upwards! https://cheshiregymnastics.com/wp-content/uploads/2017/02/700-logo.png 0 0 MarkLaura https://cheshiregymnastics.com/wp-content/uploads/2017/02/700-logo.png MarkLaura2015-03-30 21:54:502015-03-30 21:54:50Pre -schoolers reach award standards! Another gymnast reaches her well earned level 1 status within the club, well done from all the team Millie! https://cheshiregymnastics.com/wp-content/uploads/2017/02/700-logo.png 0 0 MarkLaura https://cheshiregymnastics.com/wp-content/uploads/2017/02/700-logo.png MarkLaura2015-03-07 19:15:352015-03-07 19:15:35Scary but exciting! New Bars Finally Arrived at Hartford! https://cheshiregymnastics.com/wp-content/uploads/2017/02/700-logo.png 0 0 MarkLaura https://cheshiregymnastics.com/wp-content/uploads/2017/02/700-logo.png MarkLaura2015-02-13 16:39:092015-02-13 16:39:09New Bars Finally Arrived at Hartford! Lots of great young men at the club! https://cheshiregymnastics.com/wp-content/uploads/2017/02/700-logo.png 0 0 MarkLaura https://cheshiregymnastics.com/wp-content/uploads/2017/02/700-logo.png MarkLaura2015-02-08 11:18:312015-02-08 11:18:31Lots of great young men at the club! 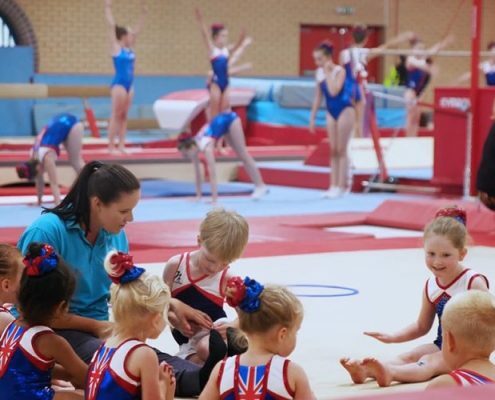 All our coaches have recently renewed their safeguarding qualifications to keep us up to date with our GYMMARK accreditation for another year! Hannah Drinkwater has just passed her Level 1 in the British Gymnastics Proficiency Award Scheme. Well done for many months of hard work and a concerted effort, you deserve it! Lets get the rest of the other gymnasts up there now please! New Mats Now on their way 4th December to Knutsford & Holmes Chapel Venues! https://cheshiregymnastics.com/wp-content/uploads/2017/02/700-logo.png 0 0 MarkLaura https://cheshiregymnastics.com/wp-content/uploads/2017/02/700-logo.png MarkLaura2014-11-17 21:20:492014-11-17 21:20:49New Mats Now on their way 4th December to Knutsford & Holmes Chapel Venues! 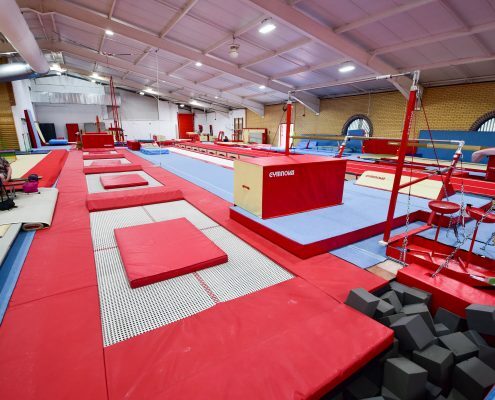 Middlewich Trampolining Starts 1st October! Come along and have a bounce at Middlewich Leisure centre 1st October starting at 5.30pm & 6.30pm! MarkLaura https://cheshiregymnastics.com/wp-content/uploads/2017/02/700-logo.png MarkLaura2014-10-01 14:00:012014-10-01 14:00:01Middlewich Trampolining Starts 1st October! The Club is investing in a new online administration system! 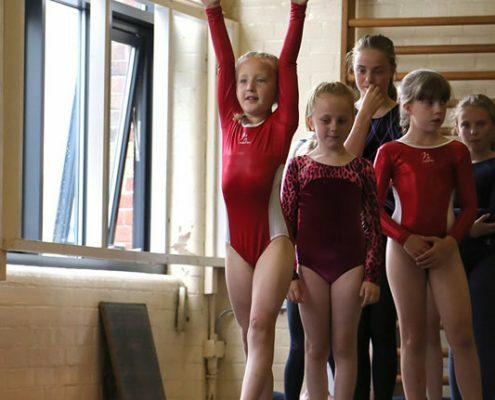 MarkLaura https://cheshiregymnastics.com/wp-content/uploads/2017/02/700-logo.png MarkLaura2014-08-17 23:37:422014-08-17 23:37:42The Club is investing in a new online administration system! 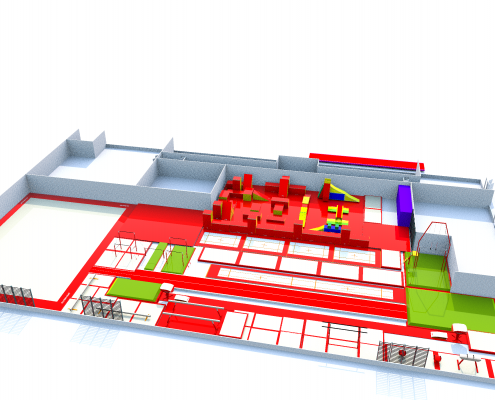 Lots of Adult Gym Enquiries coming through! MarkLaura https://cheshiregymnastics.com/wp-content/uploads/2017/02/700-logo.png MarkLaura2014-08-11 19:30:012014-08-11 19:30:01Lots of Adult Gym Enquiries coming through! 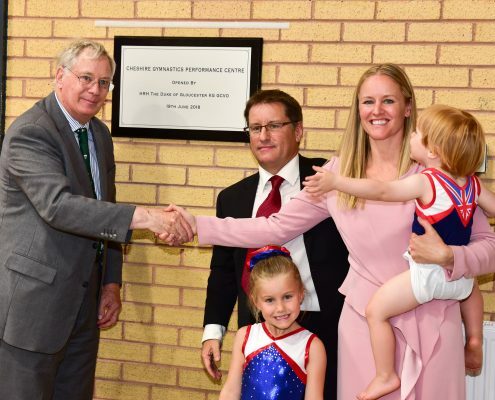 MarkLaura https://cheshiregymnastics.com/wp-content/uploads/2017/02/700-logo.png MarkLaura2014-08-03 16:25:422014-08-03 16:25:42More comments on Posts/Blogs? Interested in Expert, Exam-free Ballet lessons? MarkLaura https://cheshiregymnastics.com/wp-content/uploads/2017/02/700-logo.png MarkLaura2014-08-03 15:44:422014-08-03 15:44:42Interested in Expert, Exam-free Ballet lessons? Holmes Chapel Closed for August! 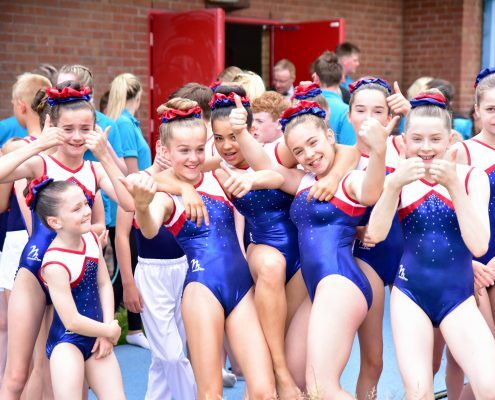 MarkLaura https://cheshiregymnastics.com/wp-content/uploads/2017/02/700-logo.png MarkLaura2014-08-02 07:30:432014-08-02 07:30:43Holmes Chapel Closed for August! Change, Change and more Change - Look out for September! We have lots of great developments to tell you about soon, keep an eye out on the website for new classes, new locations and maybe some new coaches! MarkLaura https://cheshiregymnastics.com/wp-content/uploads/2017/02/700-logo.png MarkLaura2014-08-01 22:22:522014-08-01 22:22:52Change, Change and more Change - Look out for September! MarkLaura https://cheshiregymnastics.com/wp-content/uploads/2017/02/700-logo.png MarkLaura2014-07-19 18:21:302014-07-19 18:21:30Here are the Champions! 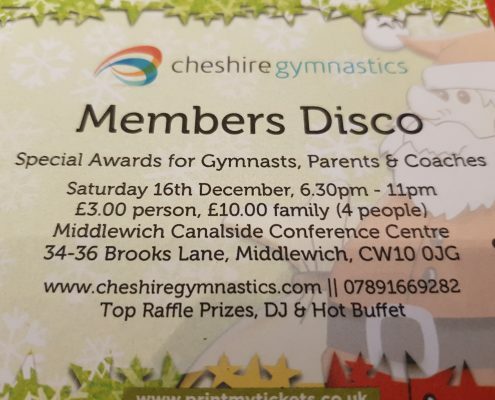 All Parents & Friends Welcome at the Comp! 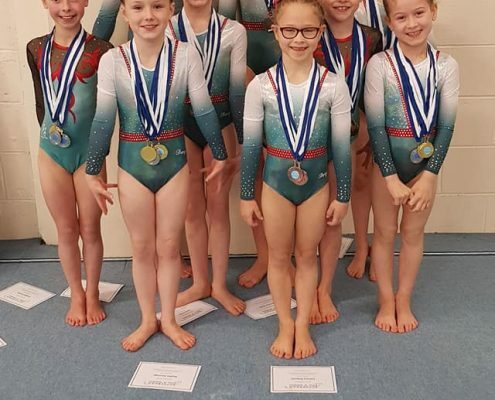 MarkLaura https://cheshiregymnastics.com/wp-content/uploads/2017/02/700-logo.png MarkLaura2014-07-05 17:30:192014-07-05 17:30:19All Parents & Friends Welcome at the Comp! Wish the Club Luck at the Regional Sports Awards! MarkLaura https://cheshiregymnastics.com/wp-content/uploads/2017/02/700-logo.png MarkLaura2014-06-11 21:27:542014-06-11 21:27:54Wish the Club Luck at the Regional Sports Awards! 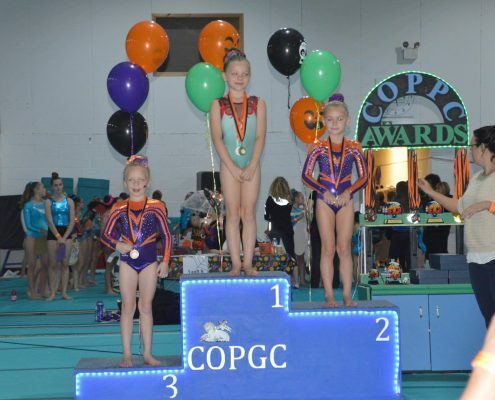 Well done to Holly Wilkinson who is our Gymnast of the Month for May at Knutsford. She has worked hard both in the gym and at home to improve her skills and is a lovely member of the club. Keep it up! Check out our new preschool class that has just started on a Wednesday afternoon at 3.45pm (ages 2-4yrs). It's early days so if you want a place just give Laura a call or turn up at our Hartford site, Mid Cheshire College. 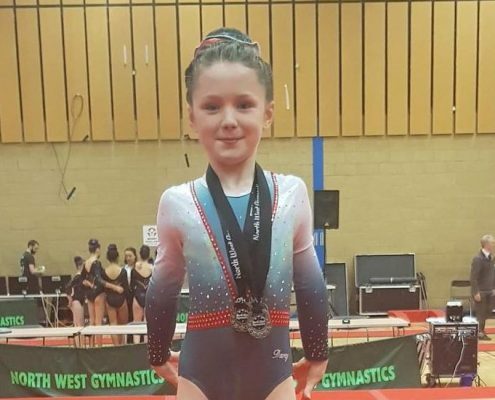 Maisie Wright has won the award for the month of April has proved one of the best in the beginners section and has progressed exceptionally well with her fundamental skills. Well done Maisie keep it up! 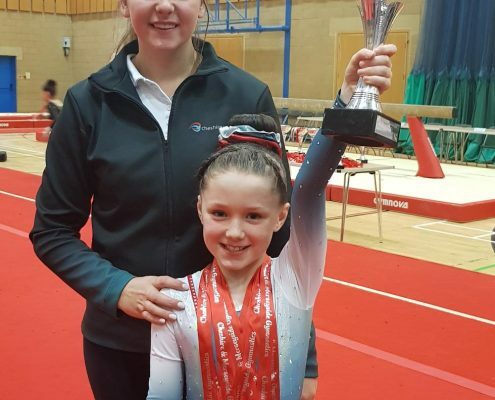 Anna Griffiths has shown consistently hard work across the month and continues to improve in all her areas of gymnastic skills, well done for your dedication Anna! Last Few Summer School Bookings available, be quick! 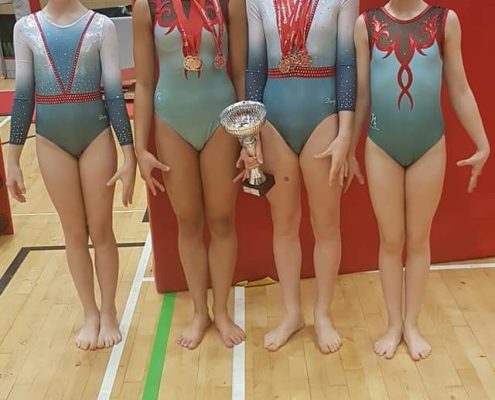 MarkLaura https://cheshiregymnastics.com/wp-content/uploads/2017/02/700-logo.png MarkLaura2014-05-04 14:04:232014-05-04 14:04:23Last Few Summer School Bookings available, be quick! 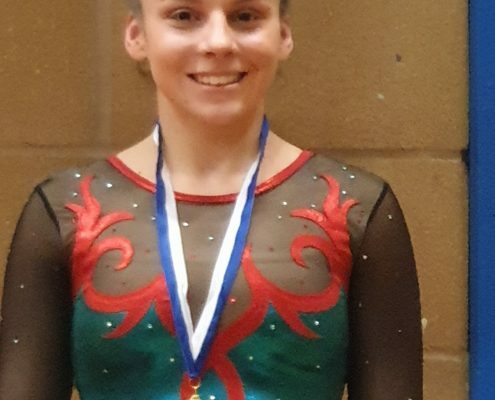 Laura Hughes has passed another gymnastics qualification last month and is thoroughly enjoying her development pathway, well done Laura keep it up your doing a great job! Can't wait for you to move onto the next stage for the club!